“The Quest for the Universal Human” is a “relevant yet impossible ideal” for those of us who know ourselves to be “all to human,” that is, finite, limited, partial, ignorant, flawed and mortal. Nevertheless, “the impossible dream” of the Universal Human is an ideal that matters. It affirms the possibility of spiritual freedom and existential choice to strive toward if not fully attain the realization of our highest creative potential in every aspect of our lives. The transcendent vision of “the Universal Human” evokes both a timeless iconic ideal and various historical exemplars of the “highly individuated person” and “the complexly integrated self” that perceives an integral relationship to the greater whole of reality. Such an iconic ideal and historical exemplar seeks to “make the connections” between all the vital domains of human knowledge and life experience. 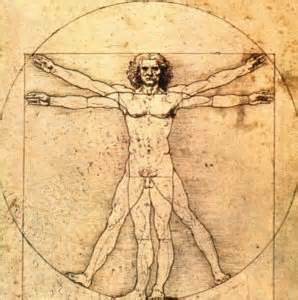 The vital domains of human knowledge include what are typically referred to “the liberal arts.” The vital domains of life experience include the entire network of human relationships to the natural and spiritual dimensions, the personal and interpersonal dimensions, the work and leisure dimensions, and the cultural and societal dimensions. To strive toward the realization of our full human potential in each of these domains of knowledge and dimensions of life is to endeavor to realize all that we were meant to be. To strive toward the realization of our full human potential is inseparable for the desire to enhance the lives of others within the entire ecology of being. The emergence of such movements as Paul Ray‘s “cultural creatives” and Ken Wilber‘s “integral thinkers” are contemporary reflections of the New Quest for the Universal Human. These and other similar movements that “affirm, critique and transcend” the pre-modern, modern and post-modern paradigms suggest that we may be on the threshold of a dramatic new horizon in human history. Cultural creative and integral thinkers have moved beyond pre-modern religious dogmatism, modern secular scientism, and post-modern ironic cynicism. The New Quest for the Universal Human in our time invites us to become “multi-lingual” in our ability to understand and relate to traditional religious, modern scientific, post-modern ironic and trans-modern integral ways of perceiving, thinking, feeling and speaking. It will invite us to critically engage and creatively connect the various ways of seeing, styles of discourse, domains of knowledge and dimensions of life. These different “vocabularies” include spiritual aspirations, archetypal symbols, philosophical ideas, historical chronicles, literary tropes, novelistic narratives, poetic metaphors, musical scores, artistic paintings, theatrical performances, architectural designs, scientific discoveries, integrative theories and life-enhancing practices. It is time to claim the promise and hope of transcending the various forms of our historically amnesic and culturally myopic provincialism and of awakening the spirit of the Universal Human.